June 20, 2014  The U.S. state department has issued its annual report on human trafficking. And the report includes a warning to American seafood importers: Clean up supply chains that include Thailand. June 19, 2014  President Obama is organizing the first of its kind African summit in Washington. In the run-up to that high-level gathering, young African leaders are in the U.S. for a leadership training program. June 16, 2014  About 80 countries will be represented over the next two days at a State Department conference. They will discuss overfishing and pollution with government officials, scientists and business leaders. June 12, 2014  Grave questions face the Iraqi government, and U.S. officials are scrambling to decide what to do. The U.S. helped shape the country; is there anything it can — or would — do to keep it together? June 8, 2014  The Syrian civil war is now in its fourth year. Many are calling it the worst humanitarian situation in a generation. Faith groups and human rights activists are divided over what to do. June 3, 2014  In June, Russia serves as the president of the United Nations Security Council. Already, that has meant a focus on Ukraine. Russia wants the Ukrainian government to end its military crackdown on separatists. It has also called for consultations on the humanitarian situation in the country. May 22, 2014  Russia and China have vetoed a U.N. Security Council resolution that would have referred the war in Syria to the International Criminal Court. Russia called the vote a publicity stunt. Nearly 60 nations backed the effort, which gained steam after a defector provided photographs detailing the mass killing and torture of prisoners under Bashar Al Assad's regime. May 20, 2014  Hundreds of western observers are headed to Ukraine to monitor Sunday's presidential election. Russia appears content to let the vote go forward without interference. May 13, 2014  The U.N. envoy for Syria, Lakhdar Brahimi, quit in frustration over the difficulties of bringing an end to the civil war and the failure of the United Nations to intervene. 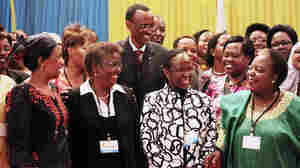 May 8, 2014  In Rwanda, nearly two-thirds of Parliament consists of women, a trend that developed after the country's genocide. Cuba is third, with women making up 50 percent of its legislators. The U.S. is 99th. 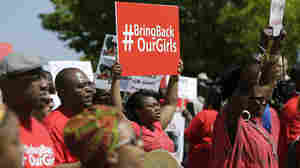 U.S. Offers Aid In Search For Nigerian Girls, But Is It Too Late? May 7, 2014  The U.S. is sending a team of experts to help find the nearly 300 abducted schoolgirls. But the three-week delay means that the girls are likely scattered, making the search that much tougher. May 6, 2014  EU foreign policy chief Catherine Ashton is in Washington Tuesday for a meeting with Secretary of State John Kerry that is likely to be dominated by events in Ukraine. May 5, 2014  The website Unlock Iran documents what life is like for political prisoners in Iran. Activists say that little has changed despite promises by the new Iranian president to overhaul the country. May 1, 2014  Addressing the collapse of Middle East peace talks for the first time, Secretary of State John Kerry called for pause and reassessment. Meanwhile, he's under fire for comparing Israel's treatment of Palestinians to Apartheid.